​​TAKE A LESSON WITH CLEMENS! If you like and want to support Clemens as a musician, you can donate any amount to help him develop his career. 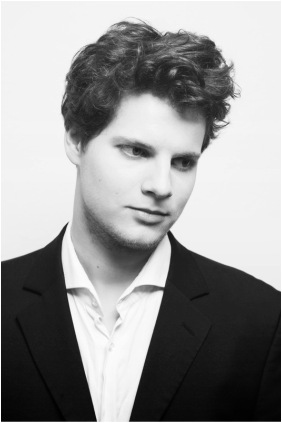 Clemens Grassmann, born 1991 in Berlin, Germany, is a musician, drummer, percussionist and composer. He started playing Drumset at the age of ten. Clemens as well went to study Cuban Percussion in Cuba and since then also doubles on congas, bongos and timbales and other percussion instruments. In Summer 2011 and having studied with Prof. Mario Würzebesser for 3 years, Clemens moved to Dresden, Germany, to study Jazz-Rock-Pop Drumset at the Hochschule für Musik Carl-Maria-Von-Weber in Dresden, Germany with Prof. Sebastian Merk and Prof. Michael Griener. After two years in Dresden, Clemens received a scholarship during the Berklee Umbria Summer Clinics Program to attend Berklee College of Music and moved to Boston, MA, in Fall 2013 to pursue his studies. He embraced various different aspects and essentials of music while stuyding and playing with teachers and mentors such as Ron Savage, Neal Smith, Kenwood Dennard, Billy Kilson, Terri Lyne Carrington and Ralph Peterson. Clemens has played and recorded with many musicians from Berlin, Dresden, Boston and New York and his art is recognized in various different styles such as Jazz, Rock, Pop, RnB, Soul, Funk, Afro-Cuban, Latinjazz, Brazil, Middle-Eastern and World Music. Clemens is involved in various musical projects between Boston, MA and New York City including his own group which just released Labyrinths & Tales, his first Album as a Bandleader, Annie Pichan, Yousif Yaseen and more. He graduated from Berklee College of Music in May 2016 with a Bachelor's Degree in Music and was also part of the Berklee Global Jazz Institute which is an 2-year-Jazz program led by Danilo Pérèz and Marco Pignataro and features master classes, workshops, lectures, ensembles and performances with some of the most popular and influencing Jazz artists today such as Danilo Perez, John Patitucci, Joe Lovano, Jerry Bergonzi, George Garzone, Terri Lyne Carrington, David Gilmore, Dave Liebman, Kenny Werner, Ben Street, John Clayton, Adam Cruz or Antonio Sanchez. In March 2015, he received the Armand Zildjian Percussion Award at Berklee College of Music. Clemens is residing in Brooklyn, NYC to teach, perform and explore new horizons. If you have any questions or want to contact Clemens, please fill out the contact form above.